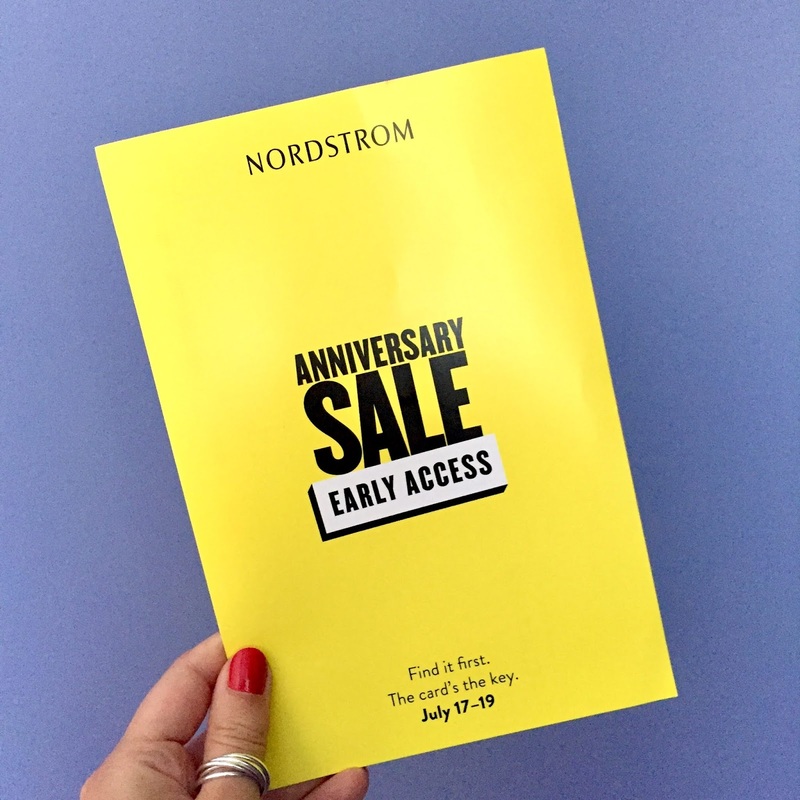 I am gearing up for the most anticipated sale of the year: the Nordstrom Anniversary Sale! I've been going for the past three years now (for just about as long as we've had a Nordstrom in Ottawa) and it is one of my favourite sales. It's so awesome because the sale items are the new fall items being released. I know it's hard to think of fall stuff in July, but these deals are too good to pass up! Plus, it gives you something to look forward to wearing when the temperature drops. You get a preview of the new "it" styles for fall. Bring on the plaid shirts, sweaters, blanket scarves and booties, I'm ready for you! Here's a few similar pieces to those I got last year. For those of you who know me, you know that I love making my own Christmas cards every year and that I scrapbook them. 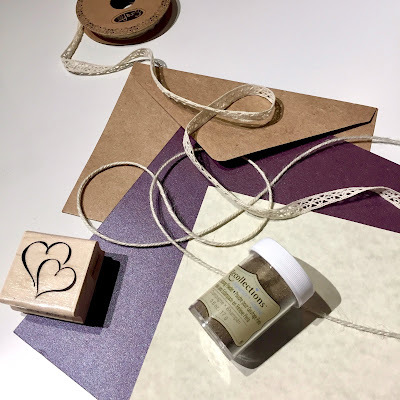 I've always been crafty, and dabbled a bit into scrapbooking years ago, but my sister in law is the one who really introduced me to the world of card-making. Every year, in October, we'd get together with her aunt's scrapbooking circle and make a ton of Christmas cards. It was a workshop format and you paid for the supplies needed. It was really great because we got to learn new techniques and had access to plenty of equipment, but for a lot cheaper than it would have been to invest in the supplies ourselves. Fast-forward to this year and I am taking on the monumental task of making my wedding invitations. It will not necessarily be any cheaper than ordering prints online, but I crave the organic process of taking the time to make something for each of my guests. It's the personal touches that go a long way, and to be honest, I am looking forward to the hours of crafting! I've made a couple templates and have pretty much narrowed down my final version. I've also purchased all of the supplies needed, so now I just have to get craftin'! 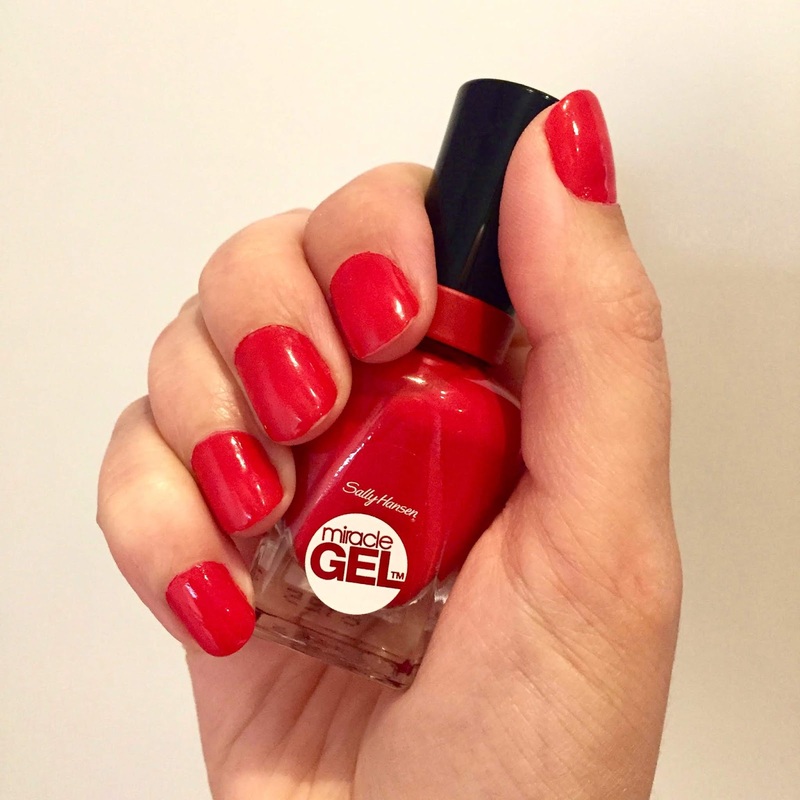 Is there anything more classic and timeless than a red manicure? I pretty much always have nail polish on, but tend to wear brighter shades in the summer. I stick to pastels and neutrals for spring, darker shades for fall and winter and pops of colour for summer. Sometimes I even try and coordinate my outfit to my mani. However, a bright red can be a little tricky to pull off. The trick I found is that as long as you wear a red lipstick to compliment the manicure, it will look good with almost any look. Wearing neutral outfits is another way to make you mani stand out without clashing. I also find that a red (or any really bright nail polish) almost always looks great on the toes. Not sure about the brightness of your polish? Try it on your toes first and see if it's something you think you can pull off on your hands. I am beyond excited about this new addition to the backyard! 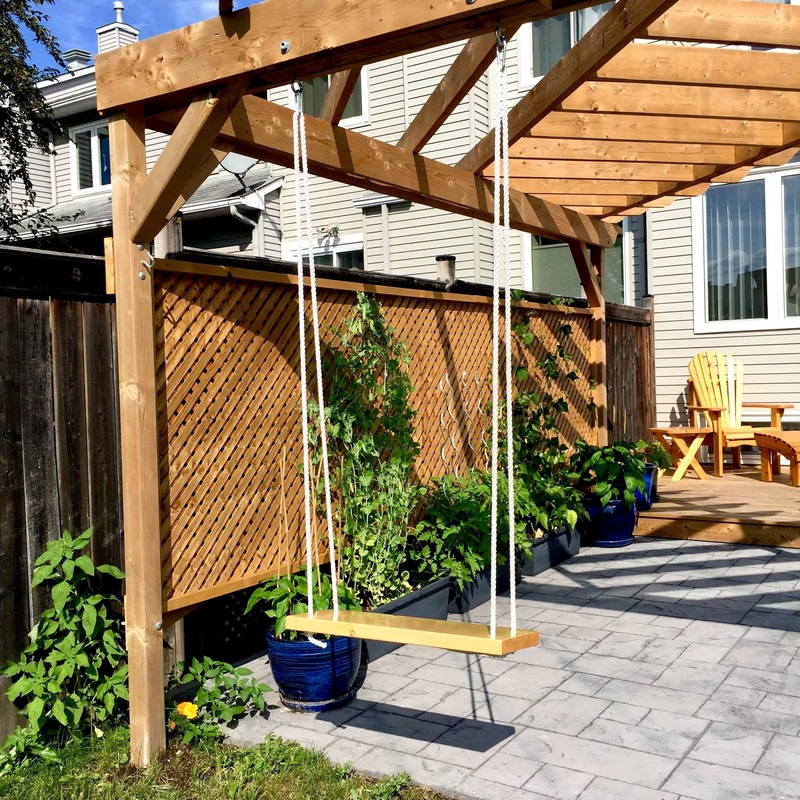 Ever since we knew we had to redo the backyard, and had settled on a pergola, I wanted to add a swing. An old-school, rope and wooden-seat swing. I like the rustic look! At some point this spring, when on one of our countless Home Depot runs, we found the perfect piece of wood for the seat in the scrap pile. It was our lucky day! We also got all the hardware and rope to set it up. My fiancé decided to varnish the wood (so that yours truly wouldn't get splinters) and surprised me this week by setting it up. He was away that evening and told me he had left me a surprise, but wouldn't tell me what it was. I searched high and low when I got home, but didn't find anything... An hour or so later, I was prepping dinner in the kitchen and happened to look out the patio door. That's when I saw it! I dropped what I was doing and immediately went to test it out! It's perfect! I am so thrilled with my new swing! I've always been a huge fan of swings and it was my favourite thing to do at the park as a kid (I know, super adventurous!) I remember spending countless afternoons in the park with my grandma and siblings and I would spend my entire time on the swings next to my grandma while the sibs did the monkey bars, the teeter-totter and that crazy spinning roundabout thing (remember those?). Back home, on the farm, we had a typical backyard swing set. I could be found swinging at all hours of the day, and in all kinds of outfits. The pictures are priceless... When I sent a picture of my new swing to both parents, individually, they replied the exact same thing: "Where are your rubber boots?" At first, I was a bit confused, but then my mom reminded me how rubber boots was my favourite footwear for swinging. I can't explain that one, put the pictures prove it... Maybe I'll wear my Hunters in the yard just to humour them one day! Ok, I'm about to get real here. Summer is great and all, and I love wearing dresses and skirts through the hot months, BUT, chafing is a serious bummer. Am I right, ladies? I don't think there was a time my thighs didn't touch, so I've been dealing with this side-effect for a long time. I typically sprinkle on some baby powder in the mornings, but if it's a really hot and sticky day, that fix only lasts so long. I was talking with my colleague (as one does) and she told me about this product from Lush. It's the same concept as the baby powder, but has more moisture absorbing, natural ingredients that prevent the annoying rubbing. It can be used anywhere, but I find this use, shall we say, particularly practical. Now, I only purchased it on the last day of the heat wave, so was unable to give it a really tough test, but I've used it a few times since and I have to say it is better than regular talcum powder. And it smells great, which is always a bonus!